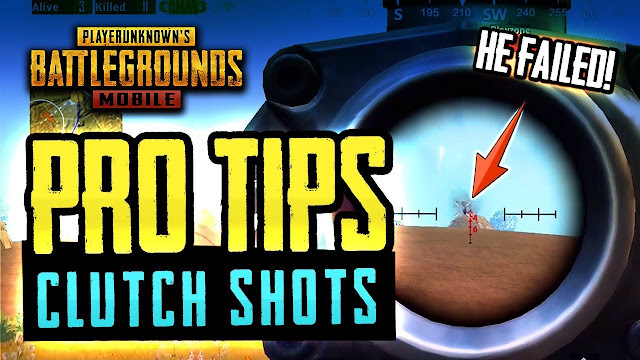 Home PUBG pubg tips and tricks PUBG Mobile Tips : How to perform a clutch? PUBG Mobile Tips : How to perform a clutch? Hello Guys, Today I will be sharing some tips and tricks given my Mortal (Indian Shroud!!). He has recently won PUBG Indian Series Competitions. The craze for the ultimate battle royale game is not going down even after controversies and bans. The game is developing and is updating itself for the future, and so are many players. Maximum of the PUBG players now want to be the best. So to stand out of the crowd, there are few tips and tricks you need to follow to become the best of the best. I will be sharing the trick about how to "CLUTCH". Clutch is a technique to get out of tough and unfavorable situations. You can need it anytime while playing, as there are many situations like when your teammates are dead when playing a squad or when you get surrounded by a squad. It is very easy for four guys to take down a single player and getting out of such a situation is called a clutch. Getting out of an intense situation, like getting surrounded by a squad, when you are left alone and performing a clutch relies on many factors, the main and important among all is Keeping yourself calm and cool. This will let you think about the actions which are needed to be done to bring yourself out of that situation. The next thing is to keep yourself in motion to confuse your enemies with their teammate's footsteps. The next major question related to the situation is "Should you revive teammates before killing the enemies?" The answer is, it totally depends upon the situation you are in, and for that, you need to analyze the scenario. Judging a situation makes a lot of difference, there are some other things you need to master to perform a clutch. Follow Sam Gaming for all the latest PUBG and video game news!